Once you start down the MEXT Scholarship path, you may want to keep going, so you’ll need to know about the scholarship extension application process. 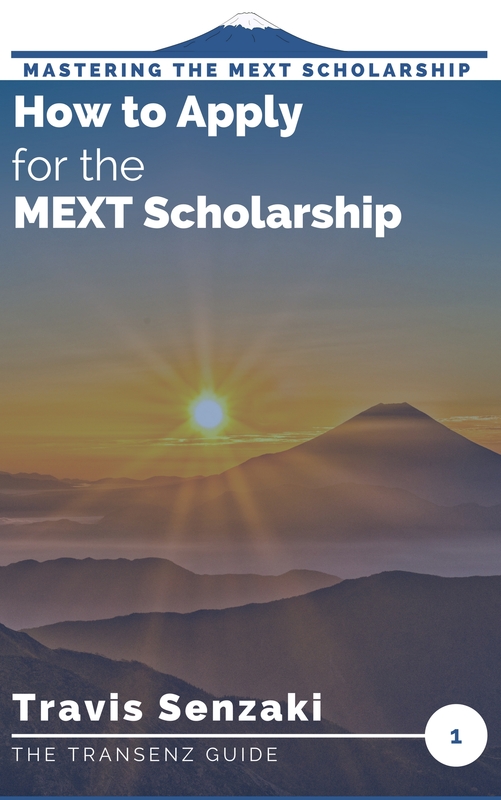 If you started your MEXT Scholarship Award as a Research Student and want to join a degree program, or when you complete one degree and want to move on to the next, you have to apply for a scholarship extension. It is easy (or guaranteed) to extend your scholarship? Is it possible to extend my scholarship to move up to the next degree? Can I extend my scholarship and move to a different university? What are the requirements to extend a MEXT Scholarship? Am I eligible to extend my MEXT scholarship? How/when do I apply to extend my MEXT Scholarship? These guidelines are current as of 2019, for students extending their scholarship within that academic year. When is it Impossible to Extend your MEXT Scholarship? If you are already a doctoral degree student. If you are in a degree program and want to become a research student. If you are a University Recommended MEXT Scholar and want to change universities. If you are a PGP Scholarship Winner, but your university has no PGP scholarship slots in the next degree level for the year you would advance. If you require permission from your employer or home country government to extend your MEXT scholarship and fail to obtain it. If you intend to conduct fieldwork or participate in an internship outside of Japan after extending your scholarship. If you fail to obtain acceptance to the degree program at the next level that you plan to apply for. Who Can Extend Their Scholarship? Embassy Recommended MEXT Scholarship Students may select up to two universities that they would like to enroll in for the next degree level. Here are the requirements, conditions, and number of slots available for each type of extension. For Embassy-Recommended MEXT Scholars, it is possible to change universities when moving from research student to degree-seeking student status. However, the student’s current advising professor must clearly explain the need for the change in the adviser’s section of the extension application form. Students may designate up to two universities for where they want to move up to the degree program, but if they move up to another university, they would lose their scholarship. University-Recommended MEXT Scholars (including PGP scholars) will lose their scholarships if they change universities. There is no limit to the number of scholars that universities can nominate in this category. However, that does not mean that all nominees will automatically be accepted for extension by MEXT. The number of successful nominees will be determined by the contents of the nomination and MEXT’s budget. In practice, I have never heard of anyone in this situation being unsuccessful in their extension application. The caveat about MEXT’s budget is always there because they are not allowed to commit to any spending in advance of the fiscal year. It is nothing to worry about. This category does not include students who started as undergraduate MEXT scholars, previously extended to a Master’s degree, and are now applying to extend to a PhD. Please see below for that category. Both of these categories have the same requirements and share a combined slot limit, so I am addressing them together. The standard years of enrollment is 4 years for a bachelor’s degree and 2 years for a master’s degree. If you take longer than that to earn your degree, you would lose your scholarship at the end of the standard years (or as soon as it became apparent that you would not finish within the standard years) and would not be able to extend your scholarship. The same condition applies as to research students extending to the degree program. The total number of students a university can nominate for these two types of extension combined is equal to the average number of nominees for the two types combined over the past three years, rounded up. If a university has not nominated any students for extension in either category over the preceding three years, the number of nominees is capped at one. Unlike the condition for research students advancing to the degree program, above, there is no statement about not all nominees being accepted. The standard years of enrollment for a master’s degree program is 2 years. If you fail to complete your degree within 2 years, you would lose your scholarship at that point (or as soon as it became apparent that you would not graduate within 2 years) and would not be eligible to apply to extend your scholarship. *For students who are not able to meet this criteria, the nominating school must consult with MEXT in advance. Applicants are responsible for researching the possibility and availability of transfer applications at their desired programs in advance to ensure it is possible. Required. Applicants may select up to two universities that they want to proceed to. Up to 5 nominees per College of Technology. However, that does not mean that all nominees will automatically be accepted for extension by MEXT. The number of successful nominees will be determined by the contents of the nomination and MEXT’s budget. The standard years of enrollment for a bachelor’s degree program is 4 years. If you fail to complete your degree within 2 years, you would lose your scholarship at that point (or as soon as it became apparent that you would not graduate within 4 years) and would not be eligible to apply to extend your scholarship. It is not possible to change universities. The standard years of enrollment is 2 years for a master’s degree. If you take longer than that to earn your degree, you would lose your scholarship at the end of the standard years (or as soon as it became apparent that you would not finish within the standard years) and would not be able to extend your scholarship. It is not possible to change universities as a PGP Scholarship recipient. A university can only nominate students for scholarship extension if the PGP program is still within its 3-year award period and has PGP slots assigned at the doctoral level. Essentially, this means that only scholars who received the PGP scholarship during its initial year would be eligible to advance. Scholars selected in the second or third year of the program implementation, would graduate from their master’s degrees after the program’s selection period had ended, so there would be no available slots. If you are applying to extend your MEXT scholarship fees, you would be responsible for paying all application and matriculation fees for the programs that you want to apply to. However, the fees would be refunded to you as follows, based on the success of your applications. If your application to extend your MEXT scholarship is successful, the application and matriculation fees to the university you enroll in would be refunded. If you apply to multiple universities (Embassy-Recommended MEXT Scholars are allowed to apply up to two during the extension process), then your fees for the university that you do not end up attending would not be refunded. Your fees would also not be refunded if you failed to pass the entrance exam or if your MEXT scholarship extension application was not approved. While the exact timing will vary slightly by your university’s procedures, expect the application to begin between October to December of the calendar year preceding when you plan to extend. In some cases, this would mean that you would be applying for the extension almost immediately after arriving in Japan. Your university should let you know when it is time to apply, but if you do not hear from them by the beginning of December, it would be a good idea to contact your university’s Center for International Affairs to follow up. You will receive the forms from your current university, but they should not pose any difficulty. The application form itself is similar to the initial application form, but shorter and simpler. Since you have already completed the application form once, it will be no trouble. The second form you have to submit is a Research Plan or Research Status Report. If you are applying to advance to the next degree, your Research Plan would be similar to the type of document you submitted for your initial Field of Study and Research Program Plan, except simpler. In this case, you would not be submitting your application for a competitive evaluation to professors/a university that is unfamiliar with your performance. So, your plan can be a simpler explanation of what you plan to research. Your current adviser should be willing to help you write it, as well. If you are extending from research student status to degree status, and continuing your ongoing research, then you would write an update on your progress. Special thanks to the TranSenz supporters on Patreon, especially Daimyo Supporter Kenzo who pledges $10 per month to show his support! You can show your support for TranSenz on Patreon for as little as $1 (0.08% of a MEXT monthly stipend) per month. If TranSenz has helped you in your application process and you want to “pay it forward” to keep this site running to help future applicants, every contribution helps! If you want to show your support but Patreon is out of reach, I’d appreciate it if you say hi on social media or in the comments below to let me know if you appreciate these posts. You can find me on facebook at @TranSenz or on Twitter at @tagsenzaki. I look forward to saying hi! Hi Travis, I passed the Embassy recommended Mext Scholarship exam and am slated to arrive Japan in October as a research student. However I have some questions. My adviser told me that I could take the University entrance exam in August ( at my own expense and become a regular PhD student in October upon arrival that is if I pass the exam. In this case I would not have to apply for a scholarship extension) or I could write the entrance exam in March 2020, become a regular PhD student in October 2020 but I would have to apply for a scholarship extension and it is not 100% guaranteed. I am quite confused regards what to do. I sure do not have the resources to travel at my own cost in August for the exam. And since an extension is not guaranteed … Am not sure what best to do. Please advise. Thanks. Congratulations on winning the MEXT Scholarship! 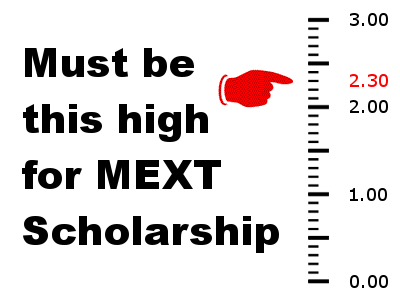 Extensions to the MEXT Scholarship are not guaranteed, but as long as you are performing to expectations, they are as close to guaranteed as they can possibly be. As long as you excel during your research student period, have the continued support of your advisor, and pass the entrance exam in March 2020, there is no reason to believe that you would not get the scholarship extension. (I, at least, have never heard of that happening). Although you will have to pay for the entrance exam fees out of pocket, you will get those fees refunded once your scholarship extension is approved. However, you would not get the travel fees refunded. If affording the trip to Japan in August to take the entrance exam is not reasonable for you, then I would recommend waiting to March to take the exam, with the confidence that the extension should not be a problem. Dear Travis, first of all I would like to thank you for your articles. It is incredibly helpful for young people who do not know where to start with their application. I am planning to apply for Kyushu University through Embassy recommandation next month to enroll in April 2020. Having already completed a Bachelor’s degree in my home country, I would like to know if I can apply directly for the degree seeking status. I am a little bit scared by the whole process of starting as a research student and having to pass the University entrance exam to earn credits. When I send my application to the Embassy, will it be eliminatory to mention that I would like to apply as a degree seeking student? Or the wise way is to apply for the research student status and try your luck once you’re selected? Thank you very much for your kind words. I am happy to be able to help! Yes, you can apply directly for Master’s Degree status (rather than the pre-graduate “Research Student” status), but ultimately, it is up to the university to decide whether or not they will accept you directly into the degree. Stating your preference one way or the other will not get you eliminated during the university’s screening. In either case, you would have to pass the entrance exam. 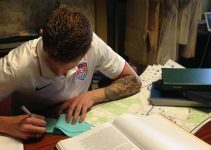 (Which is not always an exam – sometimes, it is just a document screening). If you apply as a Degree-seeking student, then you would have to pass it before arriving in Japan. If you apply as a research student, they you would have to pass it after arriving. If you are nervous, I would suggest that starting as a research student might be the better course of action. Once you’re accepted as a research student, you will have the opportunity to prepare while at the university already, under the supervision of your adviser and with the ability to get his or her guidance. Thank you so much for your reply! I think I will probably start as a research student then, since it would be a hassle to go all the way to Japan just to take the entrance exam. Another question if you don’t mind. I asked one of my Japanese class teachers from when I was an exchange student in Japan to write me a recommendation letter. She agreed but she told me that last month she already wrote one for another student from a different country, and she is scared that this will not do good to my application. Does MEXT review the names of the professors who write recommendation letters? And is it forbidden for a teacher to recommend different students, even if they apply from different countries? Just in case, I also asked one of my professors from my home country as well and she answered positively. There is no rule against a teacher writing a letter of recommendation for multiple students, whether they are from the same country or not. MEXT is not going to check it. However, I think you should double-check the rules about who can write your letter of recommendation, because I do not think a teacher from your exchange time is eligible to do so. As far as I recall, it should be your academic advisor, the dean of your faculty, or the president of your university, but in any case, it has to be someone who works at the university that you graduated from. Thanks for your answer Travis! I’ll send both and see how it goes… Thank you anyway!!! The MEXT guidelines say that it should be your advising professor, but if you do not have that system in France, that must be why the embassy there says that any professor will do. But it would absolutely need to be a professor at the university that you graduated/will graduate from, not your exchange program. Exchange program professors see you only for a little time during your degree and in a limited context (not to mention that in some cases, exchange programs have lower academic rigor and are not closely related to your major). In theory, a professor from your home university would be better able to evaluate you in the context of the expectations of graduates of your university and comparison to other students there. Sending both would not hurt, but the one from your matriculated university would be the one required to meet the application guidelines. Hi Travis, thank you very much for explaining about MEXT Scholarship extension, this information is really difficult to find and you have explained it really well. I really appreciate it. I would like to ask you a few things if you don’t mind. I am going to Japan as a research student this April and I plan to apply to graduate school this September. You say that “Students may designate up to two universities for where they want to move up to the degree program”. Is it possible for me to choose another major in the same faculty and university instead of choosing another university as the second option? Is changing major allowed if the majors are still closely related? Do the two majors have separate entrance exams at the graduate school? Assuming there is only one entrance exam for the graduate school, regardless of major, MEXT would consider that to be only one of the two schools that you can list. Whether or not you can change majors within the school is up to the graduate school, rather than MEXT. If your advisor and the other faculty are OK with it, then there should be no problem. If I am missing something (or there are multiple different entrance exams), please let me know! There is no entrance exam for admission to both majors, there is only document screening. The document requirements are slightly different, one major requires an additional document (GMAT Score) and the majors have different personal essay questions. Other than that, the admission process and requirements are the same. Does that mean MEXT will consider the majors as two schools even though they are under the same graduate school? I double-checked the application form for the scholarship extension, and there is no place for “Major” but there is a section for “Course”. It is going to depend on how your university is organized as to whether or not the majors are considered to be within the same course or not. For example, you might have a graduate school of science and engineering and within that graduate school, mathematics and physics would be separate courses (they have completely separate graduation requirements), but within physics, you could have majors in theoretical physics, astrophysics, etc. In Japanese, the words you are looking for are 専攻 (senkou) for major and 課程 (katei) for course. Thank you for helping me secure the MEXT scholarship! In April 2019 I will start as a non-degree research student. I have a question about the timeline from non-degree to phd. Is this correct? Total: 7 years of funding. My professor thinks I can only be a non-degree student for 1 year. She asked me to take the masters entrance exam in September 2019 and start my masters in April 2020. But my research scholarship lasts until March 2021. I intended on extending the scholarship when entering the masters program in April 2021, NOT April 2020. If I follow the advice of my professor and start my masters a full year earlier, would I therefore miss out on a year of funding as a non-degree research student? What is the maximum number of years I can have the scholarship for? What is the typical timeline that students follow when they go from non-degree to masters to phd? If I can be a research student for 2 years, then I would prefer to do so rather than jumping straight into the masters program after 1 year. You can spend up to two years as a research student (if you arrived in Japan in April), yes, but that is not common. Usually, MEXT scholars only spend two full years as a research student if they are not planning to move on to the degree program. MEXT scholars who want to move on to the degree program usually spend only one semester (or two, in some cases) as a Research Student before taking the entrance exam and extending their scholarship to cover the Master’s Degree. There is really no reason to delay and most people want to get moving with their degrees as soon as possible. Yes, you would miss out on a year of funding as a research student, but that is also a year where you would not be earning credit toward your Master’s so it isn’t really productive time for you. Is there a particular reason that you want to take longer? Thank you so much for this post we really appreciate your effort. I have been granted the Mext scholarship fortunately and i have been accepted as a regular (non-degree) student as i’m not fluent in Japanese i’m taking a 6 months Japanese prep. Thank you so much in advance for reading all the way i’m sorry if its too long. It sounds like you are not in Japan yet, is that right? In that case, you would not have to do anything until you arrive in the country. You should also double-check what your Letter of Acceptance said – did they accept you as a Master’s Degree student or a Research Student? In the latter case, you might spend a semester as a research student after your Japanese language program semester and take the entrance exam during that time. I would certainly recommend getting in touch with them as soon as possible after you arrive in Japan. If your language program will be at a different university, then that language program university will be your official contact with MEXT during that semester, but it is a good idea to connect with your adviser and future university, too, even if they can’t help you quite yet. – Yes i’m not in japan yet. – Yes i got accepted as a research student (Non-degree) and i’m suppose to start in October. – The Japanese language program will start in April and end in September. Everything is set with the Japanese language program but i’m just lost when it comes to the entrance exam if i can take it during the Japaneses language program maybe ? 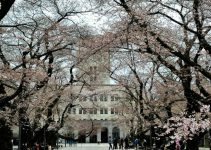 If you are supposed to start as a research student in April and then start as a non-degree student at your university in October, then your MEXT scholarship extension application would occur next fall, as far as I understand, and you would also take the entrance exam then so that you could start the degree program in April (or even later). That is probably what the university international office is assuming that you will do, if your acceptance is as a non-degree student. If you’re looking to accelerate taking your entrance exam so that you could start as a degree-seeking student, then I would recommend that you be clear to them that you are trying to accelerate the program. Otherwise, they might simply put you off under the assumption that there will be time later. Thank you for your useful information, I am currently as a master student in one of the Universities in Japan, I will graduate in March 2019, and I applied for MEXT scholarship by university recommendation, so I want to know for the recommendation letter it should be issued by my current dean faculty in Japan or I should have some recommendation from my graduated faculty in my country? 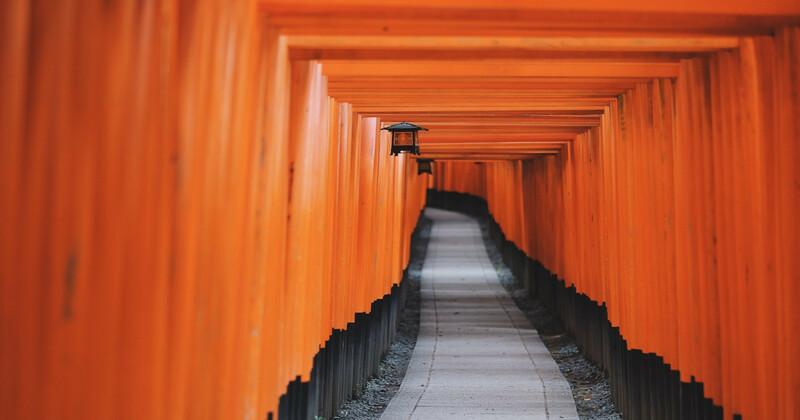 The letter of recommendation should come from the Dean of your most recent degree program, so in your case, that would be your Master’s program in Japan. But you wrote this comment on the article about extending your scholarship – are you currently a MEXT scholar applying for an extension, or are you a privately-financed student (or a student on another scholarship scheme) applying for the MEXT scholarship for the first time? That would affect what paperwork you need to submit. Thank you for your reply, I am a student on another kind of scholarship, and it is my first time which I want to apply for MEXT university recommendation scholarship for the Ph.D. degree. Thanks once more for putting this clear. I applied as a Research Student (April 2019). Fortunately, I was accepted as a Masters student. I haven’t asked my advisor on this. Does it mean that I won’t have “entrance” exams? If your letter of acceptance from the university or the official notification from the Embassy says that you have been accepted as a Master’s Degree student – rather than a Master’s level research student, it means that you will start right away from the degree program and will not need to go through the entrance exams. I have been following your blog and am very thankful for all the information and resources you have carefully put together here. I am one of the mext scholarship recipients in my country and in April 2019 I will be starting as a non-degree research student. By Aug/sept 2019 I plan to take the entrance exam for my preferred Masters program. My question is about this criteria of ineligibility for scholarship extension: “If you intend to conduct fieldwork or participate in an internship outside of Japan after extending your scholarship.” Does the phrase “after extending your scholarship” mean when I convert my status as a non-degree research student to a regular/degree student (upon admission to Masters program)? The Masters program I intend to apply for includes an “on the job practice” with separate credits for domestic and international on the job practice experience. When I spoke with one of the current students in the Masters program, he mentioned that he took a 4-month internship in Cambodia to complete his credits for “on the job practice (international)”. For this particular Masters program, would it not be possible to extend the MEXT scholarship based on the criteria mentioned? The line about being ineligible if you plan to conduct fieldwork or an internship outside of Japan is in the original application as well as the extension, so it applies both during your research student phase and during the degree. Is the on the job training outside of Japan mandatory? You would not be allowed to do an practice outside of Japan. One of the criteria to maintain your scholarship is that you must sign in as present, in person, each month at your university to receive your stipend, so you have to be physically present there every month. Some study programs that require practical training (such as factory training, etc.) are excluded from the MEXT scholarship, but if your program is practical training is more like an internship, that should be allowed. In either case, the university would know for sure whether it was allowed and would not have accepted you to the program if it violated MEXT’s rules, so that should not be an issue! Right now I am a research student in Japan. I want to enroll as Master student thus I need to pass an entrance exam in the same way as everyone else (including the non-MEXT). So I guess my exam is a pretty serious one and I am not really sure whether I can really pass or not because the competition is fierce. The thing is, the deadline for the scholarship extension and the entrance exam is on the same week, so I was forced to apply for scholarship extension even though I am still not sure about my admittance to Master Degree. 1. What will happen if I fail the exam and they accept my extension? 2. What will happen if they decline my extension, does this meant my current MEXT scholarship will also be revoked? I still have my research student scholarship until 2020, so I was planning to take the exam again if failed this one,. However I heard that if they decline my extension (because I failed my exam or anything else), my current scholarship is also be revoked. This makes me anxious. I think you may be overestimating how challenging the entrance exam will be. It varies by university, but I recommend that you check with your adviser for his or her advice. All admissions processes in Japan are called “entrance exams” even when there is no exam involved. In some cases, completing the “entrance exam” as a MEXT research student is as simple as filling in a few application forms. The timing you described is very common. 1. If you were to fail the entrance exam, your scholarship extension would not be approved either. As far as I understand, this would mean the end of your scholarship. However, I do not think there should be any risk of that happening. Unless your academic adviser now is telling you not to take the exam or that you are not ready, you should not have anything to worry about. 2. As far as I understand, yes. If you apply for the extension and it is not approved, then your ongoing scholarship would also terminate. But again, there should be no possibility of this happening. I recommend talking to your academic adviser. He or she should be able to ease all of your concerns. Strangely, my supervisor seems new to this type of scholarship. Also, if you do not mind, let me tell a little of my stories. So I just took the entrance exam last week like many other student did, but after the interview exam my supervisor called me and told me that my chance to pass is pretty slim and my scholarship will also be terminated. This shocked me as the results should be announced on 19 February and it is barely one day since the paper exam finished. He said that he check my answer sheet and somehow it is not so good. Therefore, he said that I might have to go back home soon. This baffled me, because I thought that if I failed on the first try, I can try for the second and third one until the end of my research student scholarship. Then I try to explain to him that my scholarship period is until 2020 so I should get another chance,. This surprised him and he said that if I can stay until 2020, then I can try for another one or another way. I was pretty calm until then I realized that I already applied for the scholarship extension. Some people said that those entrance exam is just a formality and all, some people say that you might fail the exam, but if the extension is accepted first or something, you can still continue as research student and try for another chance, and some said that if I failed the I need to go home. There is so many answer which makes me ask those question in my previous post. However, I am grateful for your answer and does not mean to offend you in any way. While I am not sure how they determine those who qualified to pass the entrance exam either by quota, scores, scholarship, or special cases, this makes me very anxious as somehow my supervisor do not really understand my cases and situation and I feel like a lost person. Sorry for the long post and I hope this can gives you insight or some stories. I am very sorry to hear about your situation. Am I correct in understanding that you applied already to extend your MEXT scholarship to cover the degree program and that you only listed one university as the possible university where you would enter the degree? In that case, as far as I can tell, if you are not able to gain admission to the degree program, then I am afraid your scholarship would be terminated and you would not have additional chances to apply for entry to the degree program/scholarship extensions in the future. However, I was not able to find any clear guidance from MEXT on this subject. My best suggestion to you would be to check with the international office at your university (or whichever office administers the scholarship) and ask their guidance. You may be able to ask them to chancel your extension application and stick with your current research scholarship payment period. Or they may be able to talk to your graduate school’s administrative office to explain your situation better and ask for consideration. In any case, they would be able to give you an official answer on what would happen next, instead of relying on rumors and unofficial sources. Yes, I only applied for one university. I only fill the necessary thing and my supervisor filed the rest. I also did not know the how complex it is and it never cross my mind to apply for another university as I will not take another exam. I did not think the examination will be this bad. It is sad that the MEXT did not have any clear explanation about this so maybe I will try to do as your suggestion. I was thinking maybe there is anyone you ever met that have same case as mine, but it looks like mine was a peculiar one. Unfortunately, I have not encountered anyone else in your situation directly. At the university where I managed scholarships, there was no paper exam, it was just an application form and interview. So far, nobody else has shared a similar experience on this blog, either, so I don’t know how it will end up in your case. Your International Office should have access to more information than I do, though, including the ability to follow up directly with MEXT for questions! I would appreciate it very much if you could let me know what they say in the end. I already asked my university office about this matter. The person in charge said that if I failed the entrance exam, then I just need to cancel my extension for Master Student Scholarship and then revert back to my previous Research Student (RS) scholarship. This is a relief since it means I can take another exam in case I fail this one. About my entrance exam, I still don’t know the results yet as the announcement is still next week. I will follow you up for the results. My case indeed is a strange if not rare one. Thank you for following up! That is indeed a relief to hear. I will be hoping for the best possible result for your entrance exam, but in the meantime, it is good to know that not everything is riding on that one exam and that there is a backup plan available.